Secret Stitch Along Lanarte is getting started on the International Women's Day! Of course, no way to see the final result... but the typical "Lanarte touch" can be traced and it's definitely tempting! 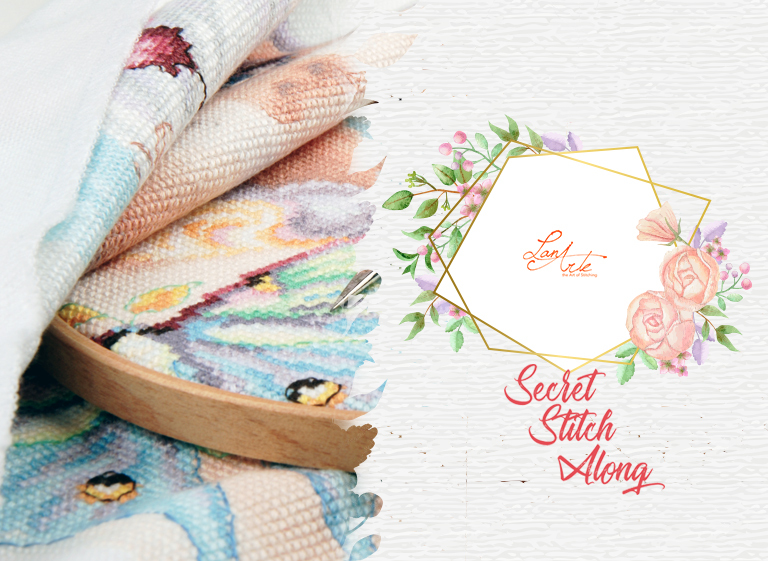 For sure, we already know that the final size of the project is 26X53 cm and that - as usual - the kit to stitch it includes DMC threads and Zweigart Evenweave. You can pre-order your kit, at 54.90 euro (including shipping to the majority of EU countries) within February 15th 2019. All you have to do is simply emailing us your delivery address and the payment method you'd like to use and we'll be happy to enter your order and email you all the further details to get your e-patterns! The kit can be purchased exclusively upon reservation for 54.90€. You can send your request by simply clicking here.